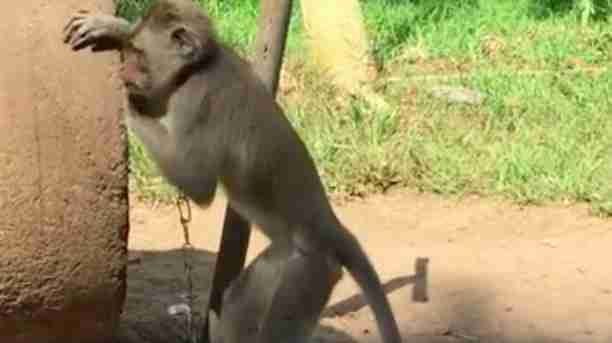 In an upsetting video, a chained macaque monkey holds his face in his hands as he neurotically rolls on the ground. A moment later, he stands and tries to walk forward. When the chain around his neck stops him, he rocks back and forth, looking visibly distressed. Then the macaque doubles back, plops down on the dirt and grabs tiny bits of grass to stuff into his mouth. But he can’t eat much — the freshest, greenest grass lies just beyond his reach. Last month, members of the Scorpion Wildlife Monitoring Group, an Indonesian organization that works to protect animals, captured this footage at the Taman Galaxy Zoo in East Java, Indonesia. 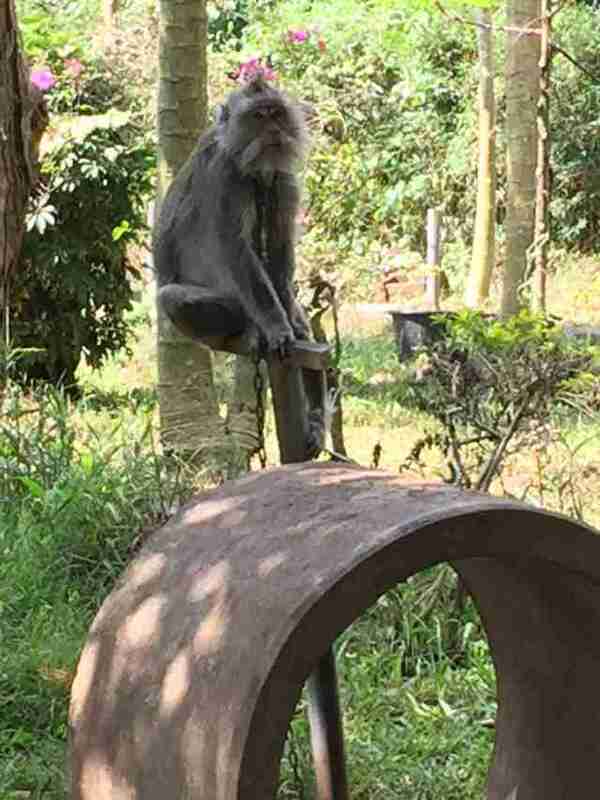 But it wasn’t just one distressed macaque at the Taman Galaxy Zoo — five other macaques were also on display, either chained by the waist, or locked up in tiny cages without enrichment or access to food or water. 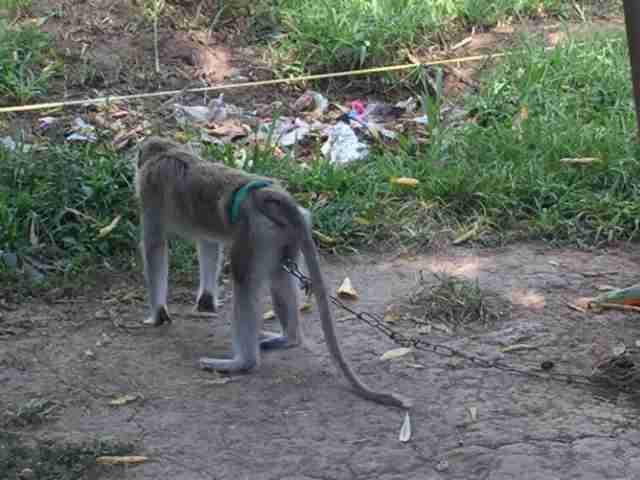 Guciano believes that all of these macaques were stolen from the wild, so keeping them in these captive situations was particularly cruel. 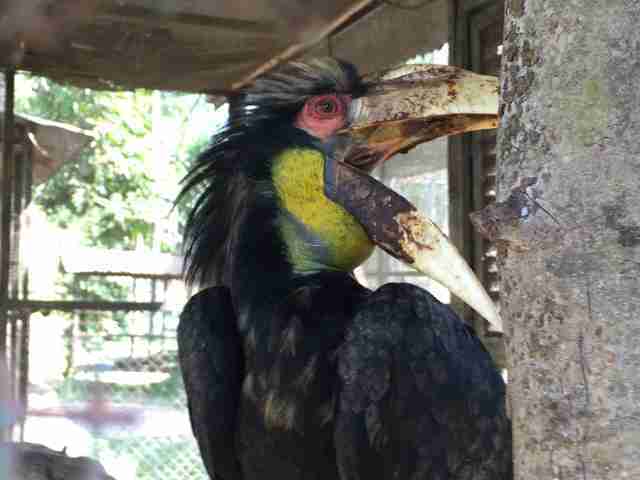 Dozens of other animals, such as hornbills, owls, eagles, gibbons, snakes, crocodiles and deer, were also being kept in small cages at the zoo, Guciano said. 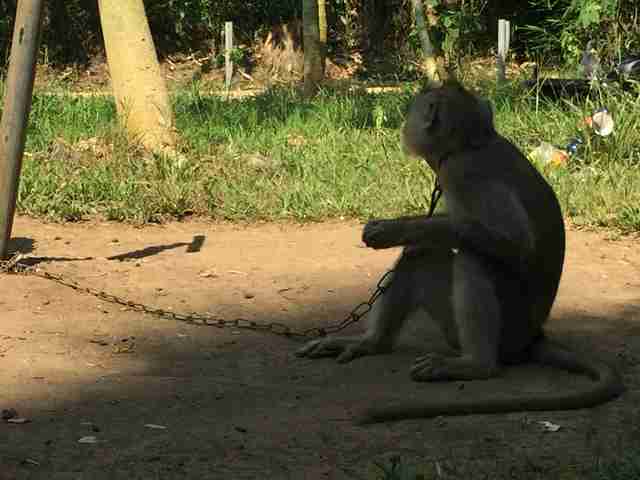 Unfortunately, the Taman Galaxy Zoo isn’t the only facility in Indonesia keeping animals in this way. 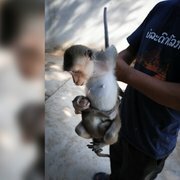 Jason Baker, vice president of PETA Asia, told The Dodo that many zoos in Indonesia keep animals in poor conditions, and that there are essentially no laws to protect animals in the country. That said, zoos technically need a license to operate in Indonesia. Yet Guciano believes that the Taman Galaxy Zoo is running without a license, which may give animal welfare advocates leverage to shut the facility down. Instead of making visitors pay to get in, the zoo charges for parking, Guciano explained. There are also restaurants and mini-marts inside the zoo, which would create extra revenue. But none of the profits seem to be going to the animals. The Dodo could not immediately reach the Taman Galaxy Zoo for comment. 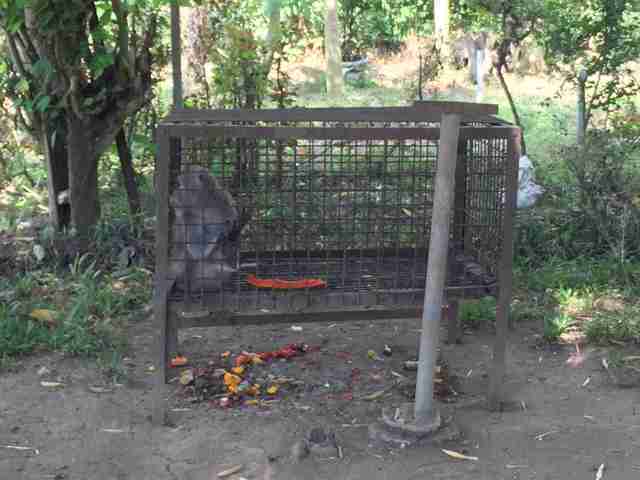 Baker believes that the Indonesian government needs to take action to combat animal cruelty and neglect in zoos. To support investigations of zoos in Indonesia, you can make a donation to Scorpion Wildlife Trade Monitoring Group. You can also follow the organization’s work on Facebook.